Hip, Cool & Edgy 3d Mascot Designers? Give us a shout! Teedee needed a new logo design and created a contest on 99designs. We are launching a new a site to review online and offline casinos worldwide. People interested in finding information about online and offline casinos and their special offers and bonuses. We are looking for a logo with a hip, edgy and cool yet also sophisticated mascot for our website Casino Bonus Reviews. 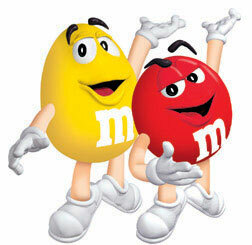 UPDATE 1/26: The Mascott needs to be 3d just like the M&M example provided. Please do not submit just 2d artwork. There should be 2 dice - one would be male and the other one female. The guy may be green color the women red color. Feel free to experiment with colors! 3) The dice should look "natural" ie. slightly soft and "human" not clear hard plastic like real dice.